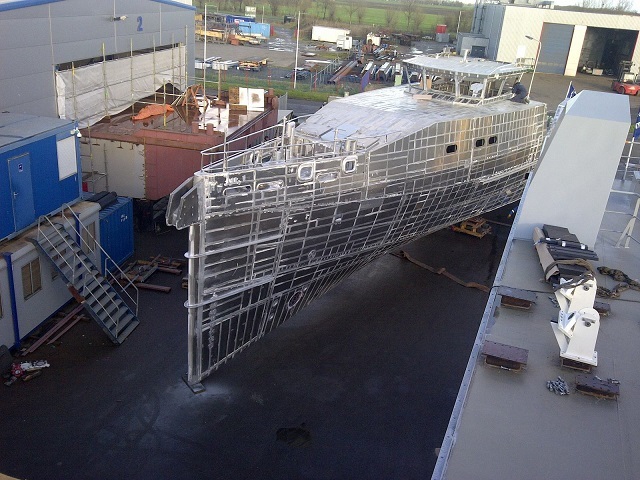 Damen has designed the Stan Patrol 3007 with the client’s requirements in mind. 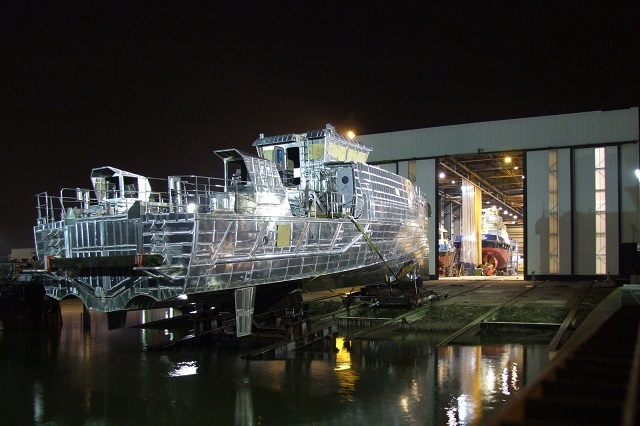 Robin van der Zon, Project Manager at Damen Shipyards Group explains: “These patrol vessels will prevent smuggling and people trafficking, so it’s vital they can quickly reach places other vessels cannot. For that reason we have developed the Stan Patrol 3007 to reach up to 24 knots with shallow draught.” Even at the highest speeds, Damen’s Sea Axe hull design will ensure excellent efficiency and sea keeping. Damen has designed the Stan Patrol 3007 to remain at sea for up to one week at a time. To meet that requirement, they have provided on board accommodation for a crew of 13, as well as a pantry and mess room. “Over a period of approximately 15 weeks, we will install on board all machinery, electrical installations, HVAC, navigational equipment, insulation and carpentry,” states Mr Van der Zon. “After launching, sea trials and extensive testing will follow a commissioning period of approximately 5 weeks and the first Stan Patrol 3007 should be delivered in week 26 of 2015. After delivery, the crew of the vessel will undergo training in the Netherlands, before the vessel is shipped to the Bahamas,” says Mr Van der Zon.